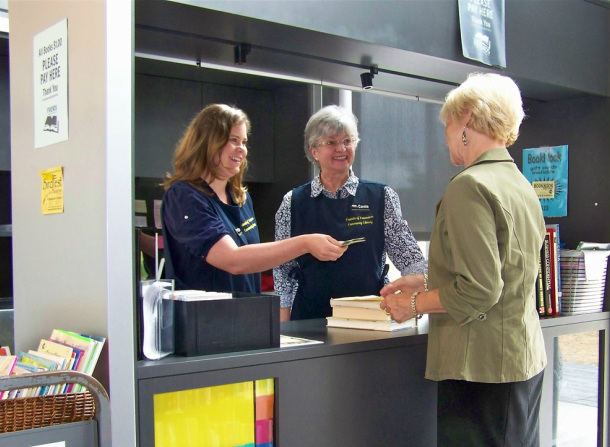 We support the Vancouver Community Library through innovative volunteer activities. Build/maintain a strong and active membership. Provide support for library/community activities. Advocate for our library throughout our communities so as to bring greater awareness and understanding of its vital role. To be flexible and responsive to the changing needs of the Vancouver Community Library. We rely on volunteers to help sort books, facilitate Internet sales, staff the Booknook, and help with our yearly book sales. No experience necessary! We will train you and ask only one three hour shift per week. You get to learn Retail Sales skills, meet and serve people in your community and have fun reading and talking about books. If you are interested in volunteer opportunities, visit our volunteer page.